It’s time for the announcement of our favourite Croydon Christmas lights folks. 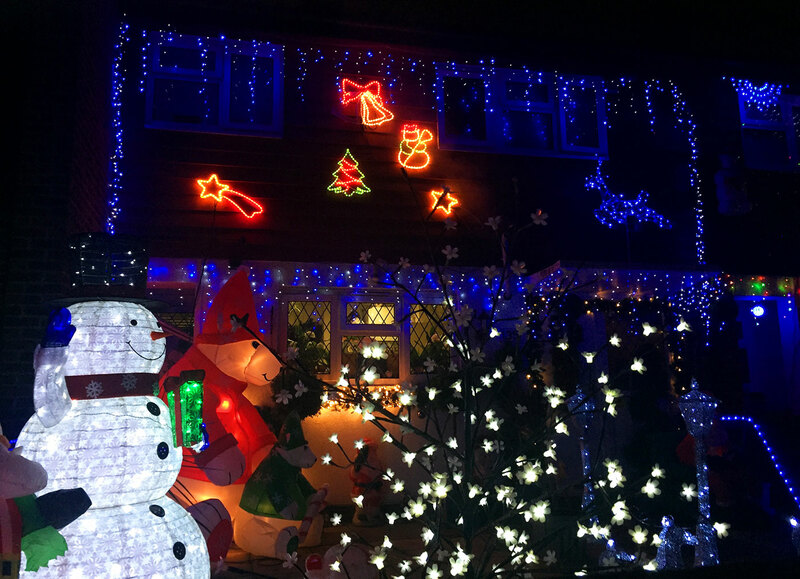 We’ve seen some fantastically festive lights the length and the breadth of the borough from Selhurst to Selsdon, Addiscombe to New Addington, and we’d like to thank all those who entered our competition. Seeing all the entries over the past few weeks has definitely brightened up our December. 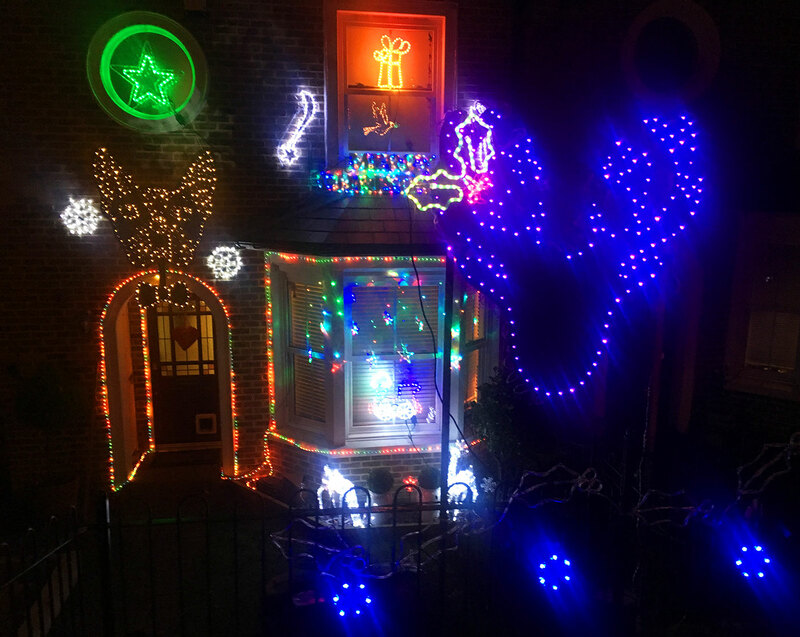 After much deliberation over the weekend, where we met some of the lovely people behind the most Christmassy lights of Croydon, we finally have a winner. Second and third places were a close call. But after much umming and ahhing we feel our second favourite lights are Lisa and Anthony Miller’s of Longheath Gardens (below). They do it because, well, Lisa just loves Christmas (A woman after Angela’s own heart). And Antony takes advantage of his day job as an electrician to have an extremely organised light display. The pair put up lights because, in addition to loving the festive season, it brightens up the street and may draw a smile or two from passers by. 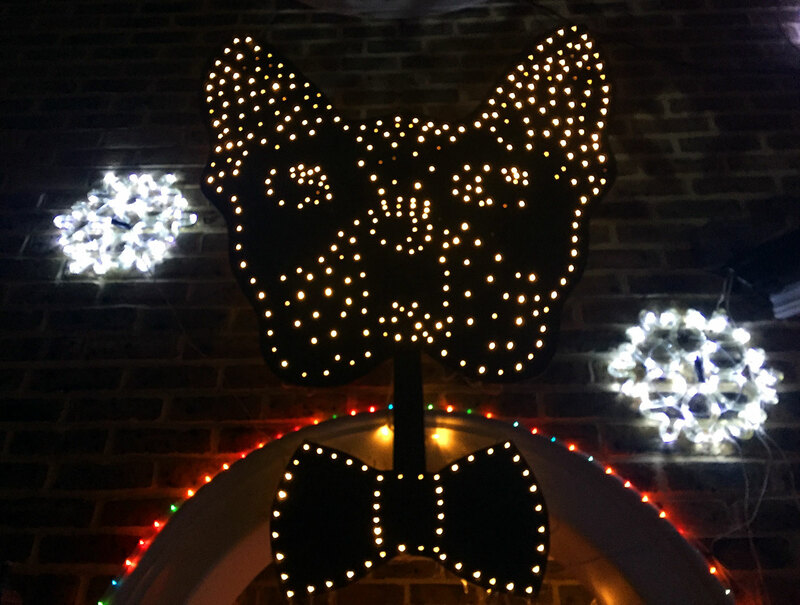 Our third favourite lights are another house doing it for charity – Nigel Cross of Davidson Road, Selhurst (below). 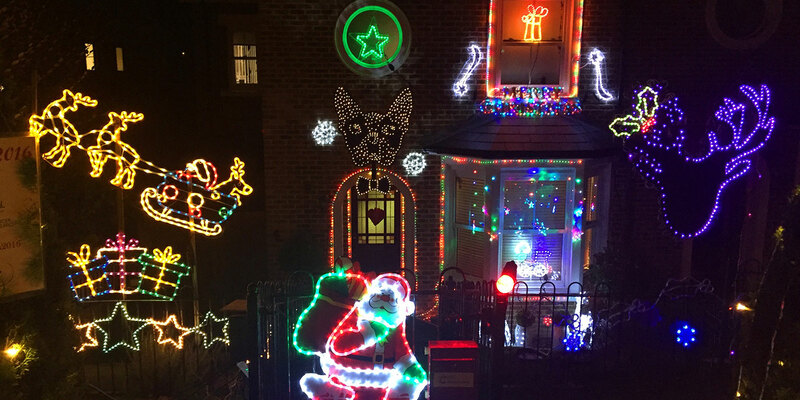 He’s been adding to his lights and raising money for St Christopher’s Hospice since 2000, and many of the lights are actually in memory of people. I’m a particular fan of the soldiers guarding the door. Whilst we were chatting, several people pulled over in their cars to say how much they liked them. A special mention goes to Shane Bissessar of Headley Drive (below left) and Derek Morris of Shirley (below right). We know not strictly within the category of Christmas lights, but we are particularly impressed by Derek’s converted sofa to sleigh – he does it all for the great grand children. 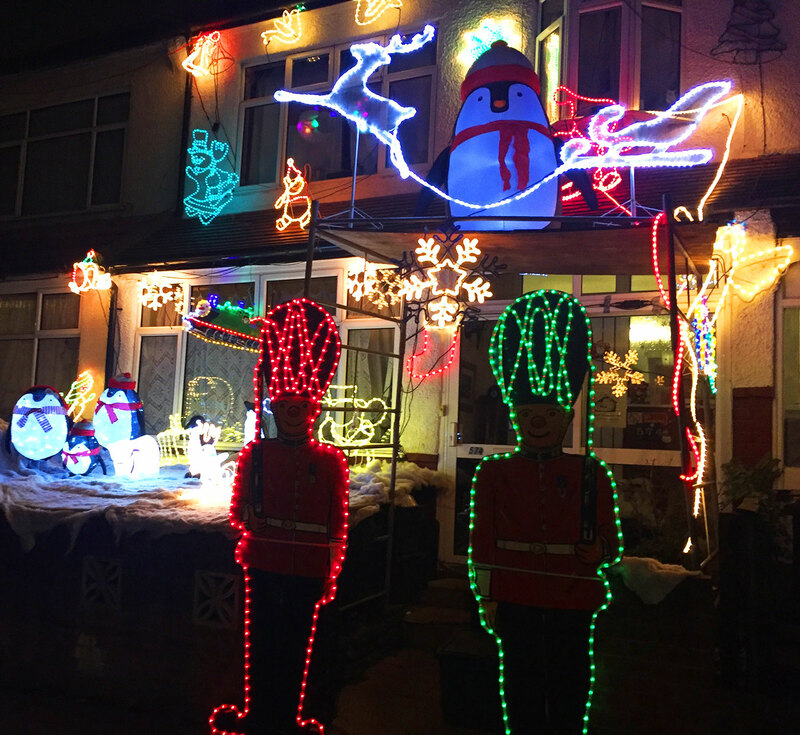 Finally we must just note Pinewood Close in Shirley too – a street which takes Christmas lights to a whole new level for charity (below). They have a constant stream of light tourists of an evening, and we recommend a visit if you want to get in the festive spirit. They are collecting for Starlight Children’s Charity and Great Ormond Street. *The Breakfast Club Croydon having kindly donated a £30 voucher to our first place entry, as well as a pick of a mug and a T-shirt from their funky merch range. We at the Croydonist will also be donating £50 to the Loks’ chosen charity Cancer Research.